These charts contrast international leaders’ positions on Assad before and after mainstream media coverage of Russia’s deployment of aircraft to Syria, marked here as September 4, 2015. Several leaders softened their stance on the Syrian leader following Russian intervention, undermining the United States’ stated goal of achieving a negotiated political solution in which Assad is not in power. One example is below. Updated 10/02/2015 3:57pm (EDT): Updated airstrikes map covering September 30-October 1, 2015 can be found here. First Russian strikes in Syria: Russian warplanes conducted 20 airstrikes on the rebel-held towns of Rastan and Talbisah north of Homs City, as well as on the towns of Al Latamneh and Kafr Zeita in Hama Province. In addition, Russia “aided” regime airstrikes in the northwestern countryside of Latakia Province, according to an anonymous regime security source. The Russian Defense Ministry claimed that the airstrikes targeted eight Islamic State of Iraq and al-Sham (ISIS) positions in total. The Syrian regime also released statements confirming Russian airstrikes in Homs and Hama, claiming that the airstrikes targeted both ISIS and al-Qaeda affiliated militants, likely referring to Syrian al-Qaeda affiliate Jabhat al-Nusra. However, local Syrian sources claim the airstrikes exclusively targeted rebel positions, including the headquarters of Free Syrian Army-affiliated, Western-backed TOW anti-tank missile recipient al-Izza Gathering in the town of Al Latamneh, rather than ISIS-held positions. Syrian Civil Defense Forces, a volunteer emergency responder organization, reported 36 civilian casualties from the Russian airstrike in Talbisah in northern Homs, in addition to several civilian casualties in Hama. Although there are small ISIS “sympathetic” cells in the rebel-held pockets of northern Homs, the Russian decision to target terrain that is held by the Syrian opposition and not ISIS signals Russia’s intent to assist the Assad regime’s war effort at large, beyond anti-ISIS operations. Russian effort to edge out U.S.-led coalition: U.S. State Department spokesman John Kirby stated that a Russian official informed the U.S. Embassy in Baghdad about the airstrikes and requested that American military aircraft avoid Syrian airspace during Russian operations. An anonymous U.S. official reported that the U.S.-led coalition warplanes continued to conduct airstrikes against ISIS militants in Syria. Senior Israeli officials also announced that Russia informed Israel about an hour before it conducted airstrikes in Syria. Russian government officials made contact with Israeli National Security Adviser, Yossi Cohen, as well as other senior officials in the Israeli defense establishment. The notice was designed to avoid any confrontation between Israeli and Russian planes. Sources consulted include: Social media accounts of local Syrian activists, local Syrian news affiliates, international news agencies, and Russian news agencies. Updated 9/30/2015 1:25pm (EDT): Syrian Civil Defense Forces reported 33 civilian casualties from the Russian airstrike in Talbisah in northern Homs. According to local sources, these Russian airstrikes have expanded into the provinces of Hama and Latakia, as well as other rebel-held areas in the northern countryside of Homs. These airstrikes continue to target areas held by Syrian rebels, including Syrian al-Qaeda affiliate Jabhat al-Nusra, hardline Islamist Ahrar al-Sham, Western-backed TOW anti-tank missile recipients, and a number of other local rebel groups. Notably, the nearest positions held by ISIS are over 55 km from the areas targeted by the Russian airstrikes. 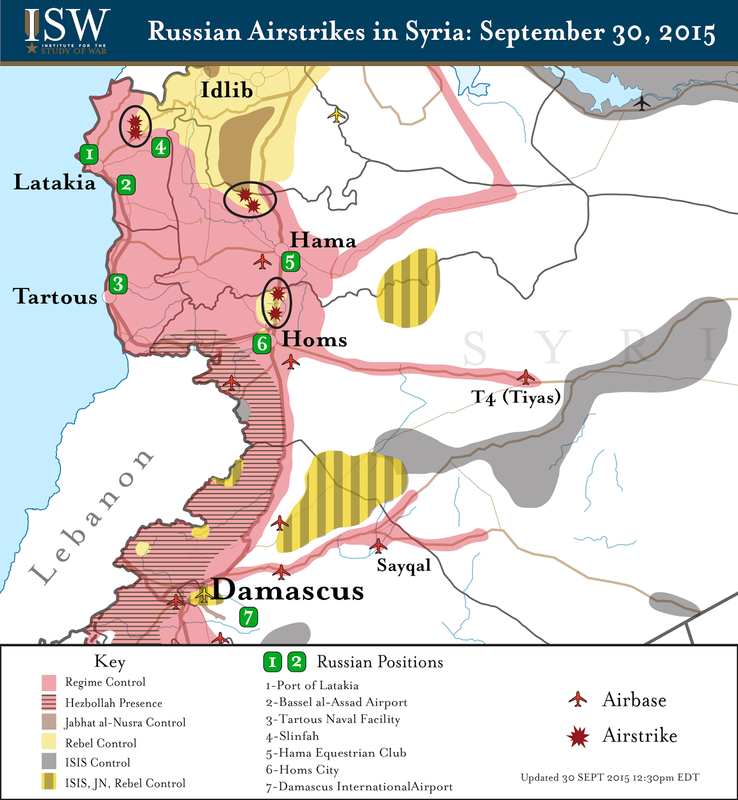 No Russian airstrikes have yet been reported against ISIS’s positions in Syria. Russia’s foreign ministry accused international media of conducting information warfare by reporting civilian casualties from Russian airstrikes in Syria. As Russian involvement in Syria continues to expand, Russian disinformation will come in direct conflict with the situation reported by ground forces inside Syria. In this instance, despite claims by Syrian sources that Russian airstrikes are exclusively targeting Jabhat al-Nusra and rebel locations, Russian officials claim that the airstrikes are only targeting ISIS in Syria. Sources consulted include: social media accounts of local Syrian activists and Russian news agencies such as TASS, Sputnik, Interfax, and RIA Novosti. 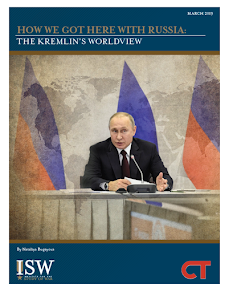 The following three viewsheds provide unique perspectives into how the Syrian regime, the U.S. and Turkey, and the Islamic State of Iraq and al-Sham (ISIS) perceive the battlefield. The regime viewpoint, shown from Damascus looking northward toward Turkey, shows the recent Russian military buildup in Syria. As the Syrian opposition encroaches further on the coastal heartland of Latakia and Tartous, this Russian buildup bolsters the regime’s remaining defensive line. In sharp contrast, Russian positions in northern Latakia are a cause for concern for Turkey, whose border is a mere 45 kilometers away from the Bassel al-Assad Airport. Russia’s increased involvement in Syria presents a new threat to Turkey’s southern border, which is currently adjacent to both ISIS and Kurdish-controlled areas. The U.S. largely shares Turkey’s viewpoint, as it uses Turkish bases and stages out of Gazientep, the perspective that is shown. 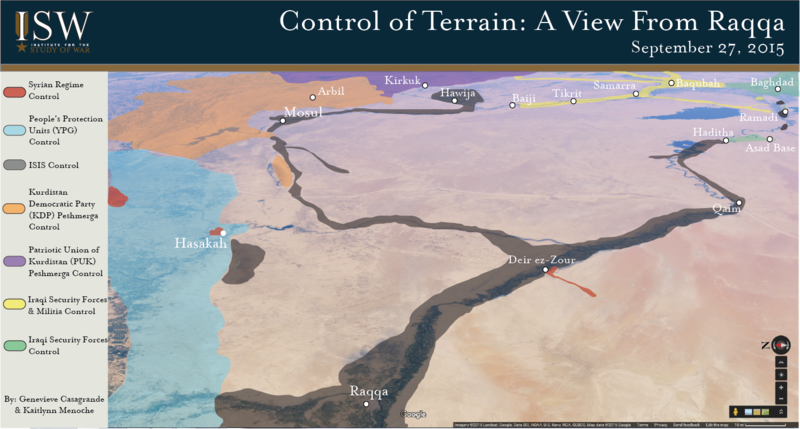 Finally, ISIS’s main effort in the past has been in Iraq, and the viewshed illustrating the ISIS perspective looks east towards Iraq from its headquarters in Raqqa, Syria. 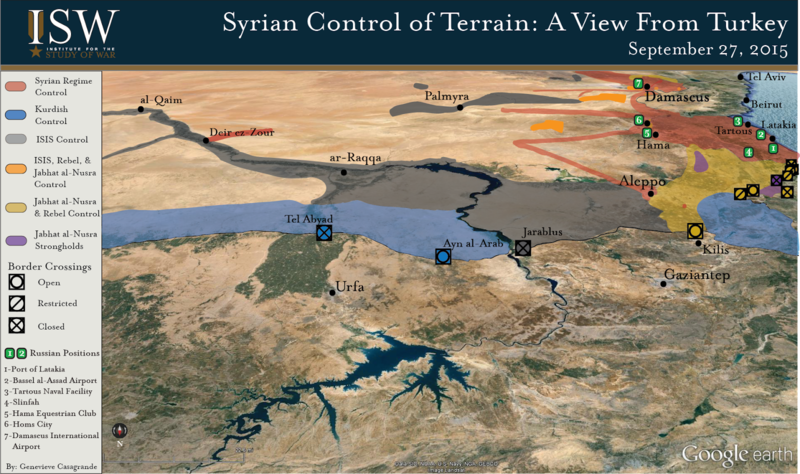 ISW has forecasted that ISIS will most likely turn its offensive efforts toward Syria’s central corridor around Homs, Hama, and Idlib in the next quarter, while nevertheless maintaining pressure on cities in Iraq. However, the confirmation of a “coordination cell” between Russia, Syria, Iran and Iraq in Baghdad highlights the potential for future Russian military expansion into Iraq. 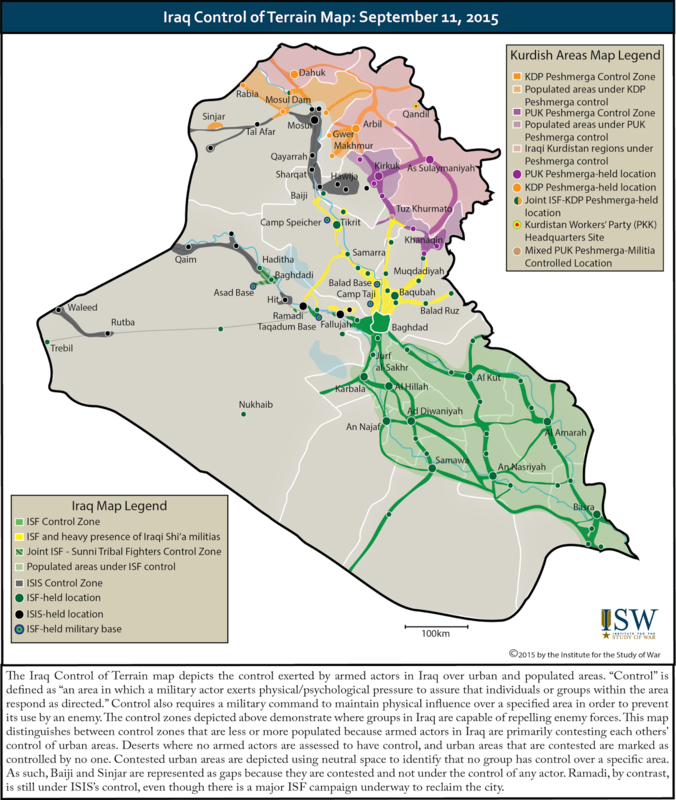 ISW assesses that ISIS is most vulnerable if it is pressured at both Raqqa and Deir ez-Zour, and ISIS reinforced this latter location during the third week of September. The final graphic shows Russian military positions across Syria, juxtaposed with the terrain controlled by actors in the Syrian Civil War. ISIS is executing a global strategy to defend and expand its territory within Iraq and Syria; to foster affiliates and exacerbate disorder in the Middle East, North Africa, and Central Asia; and to inspire and resource polarizing terror attacks in the wider world. The map depicts the geographic areas of those parallel campaigns, labeled the Interior, Near Abroad, and Far Abroad rings, respectively. 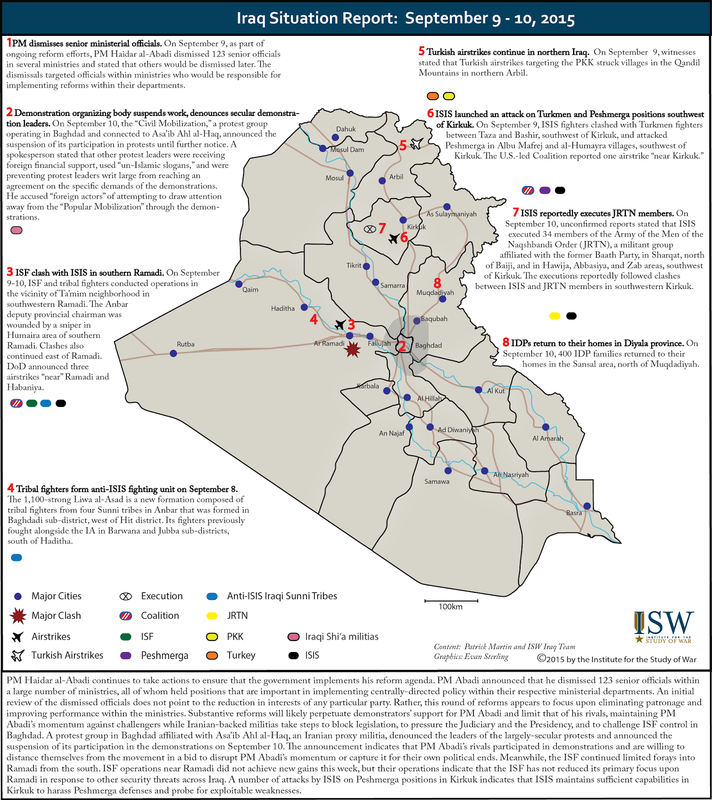 The map also marks the areas where ISIS has declared one or more “wilayats,” or governorates in the Near Abroad. 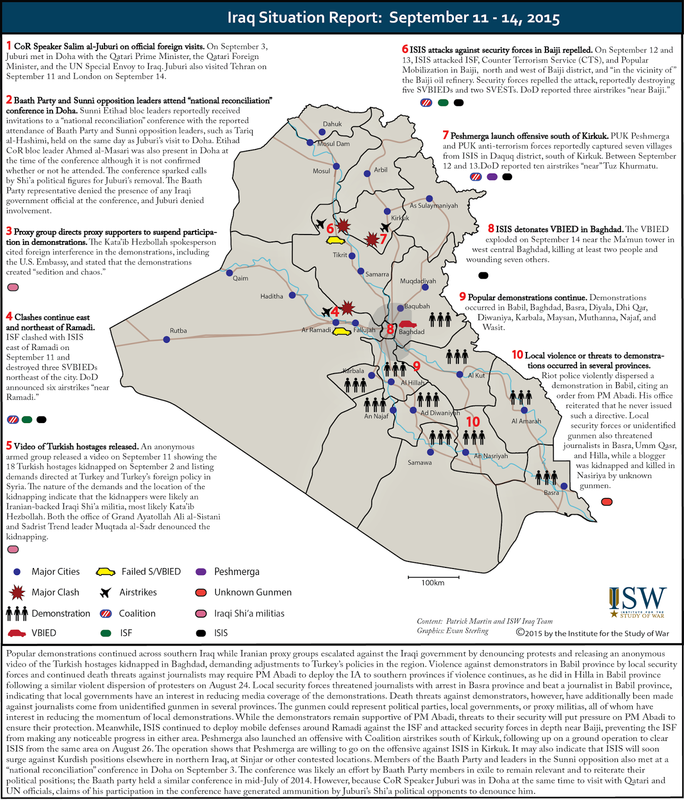 ISIS maintains active affiliates in each of its governorates, which provide the organization with strategic resiliency outside of Iraq and Syria. See map on our website here. • [Syrian Regime] Maintain Syrian territorial integrity through an ‘army in all corners’; consolidate Syrian civilian population in regime-held areas; bolster international and domestic legitimacy as ruler of Syria. The trajectory of the Syrian Civil War may fundamentally shift within the 90 day timeframe. 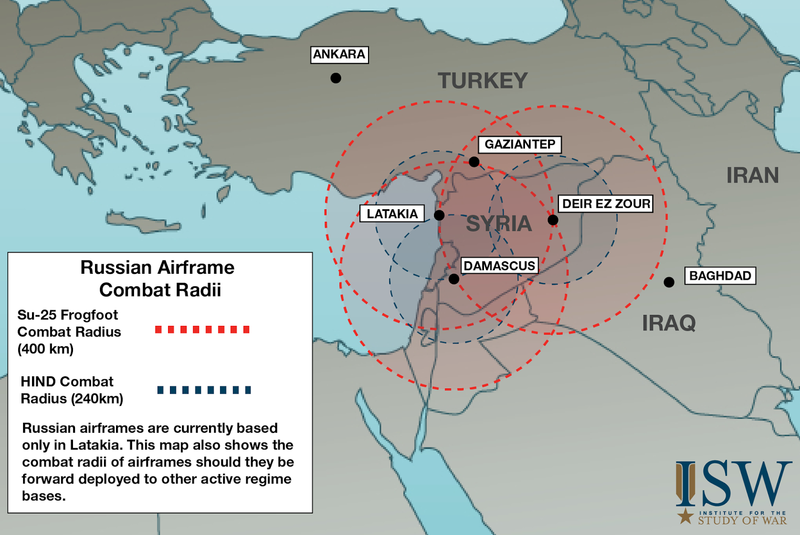 Russia escalated its military assistance on behalf of the Syrian regime in early September 2015, deploying armored vehicles and hundreds of personnel to the Syrian Coast in preparation for the establishment of at least one forward air operations base. Rebel factions led by Syrian al-Qaeda affiliate Jabhat alNusra (JN) continue to pressure the regime’s stronghold along the Alawite Coast following a several-month campaign to expel regime forces from Idlib Province. Turkey and the U.S.-led anti-ISIS coalition intend to establish an “ISIS-free” zone in northern Syria along the Turkish border with the assistance of moderate rebel forces. There a number of ways that the actors driving conditions on the ground could respond to these events or generate new conditions. The interplay between these developments and their courses of action could create numerous different outcomes in Syria over the next 12 weeks. A number of these divergent pathways could generate negative effects that intensify the conflict, spread regional disorder, and threaten U.S. interests in Syria. It is possible to forecast these trajectories to provide policy-makers and analysts with a key tool to anticipate the actions of adversaries such as ISIS and avert the potential pathways that could be most damaging to the U.S. or its allies. The following forecast applies the traditional techniques of intelligence preparation of the battlefield (IPB) to actors and conditions in Syria. IPB is a process of analyzing enemy forces, terrain, weather, and civilian considerations in order to anticipate their effects upon friendly forces and their planned or ongoing operations. IPB involves analysis of the possible courses of action of the primary actors on the ground, given existing knowledge about their capabilities, tactics, and intent. Courses of action are ranked from most to least likely and evaluated for the dangers that they potentially pose to friendly force operations. The purpose of this course of action projection is to inform decision-makers with accurate forecasts that adequately account for a range of possibilities as well as the outside risk of most dangerous courses of action. Most dangerous courses of action are designated as such because they are not most likely, but they are nevertheless plausible. Illuminating them allows commanders to mitigate risk while planning in the context of most likely courses of action. The forecasts presented in this paper are undergirded by several fundamental assumptions. First, the recent deployment of Russian military forces to Syria will maintain a defensive posture to prevent the collapse of the Syrian regime rather than a direct offensive posture to seize territory from anti-regime actors. Second, the Iranian nuclear accord and its corresponding sanctions relief for the Iranian government will be implemented in full. Third, the U.S. and Turkey will succeed in organizing and launching some form of offensive by rebel forces on the ground in an attempt to implement an “ISIS-free” zone in northern Syria. Fourth, Turkey will not take hostile action against the Syrian Kurdish YPG due to pressure on both parties by the U.S. Fifth, neighboring states – particularly Lebanon – will remain relatively stable. Sixth, the Iraqi Security Forces will continue their current pace and scale of anti-ISIS operations in Iraq with a prioritization of Anbar Province. If one or more of these assumptions prove false over the 90 day timeframe, this forecast will need to be adjusted to account for a significant inflection in the Syrian Civil War. Based upon the assessed courses of action available to actors on the ground in Syria, ISW anticipates a spectrum of possible developments in the Syrian Civil War over the 90 day timeframe. These outcomes have been characterized through analysis of the most likely courses of action (MLCOAs) and most dangerous courses of action (MDCOAs) for three primary actors: ISIS, Jabhat al-Nusra, and the Syrian regime with its allies. The trajectory of the Syrian Civil War may fundamentally shift within the 90 day timeframe. 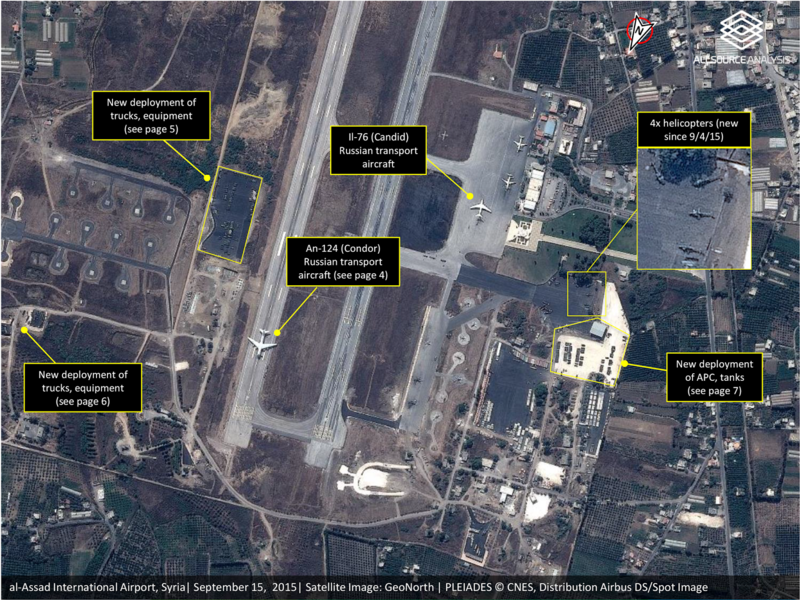 Russia escalated its military assistance on behalf of the Syrian regime in early September 2015, deploying armored vehicles and hundreds of personnel to the Syrian Coast in preparation for the establishment of at least one forward air operations base. Rebel factions led by Syrian al-Qaeda affiliate Jabhat al- Nusra (JN) continue to pressure the regime’s stronghold along the Alawite Coast following a several-month campaign to expel regime forces from Idlib Province. Turkey and the U.S.-led anti-ISIS coalition intend to establish an “ISIS-free” zone in northern Syria along the Turkish border with the assistance of moderate rebel forces. There a number of ways that the actors driving conditions on the ground could respond to these events or generate new conditions. The interplay between these developments and their courses of action could create numerous different outcomes in Syria over the next 12 weeks. 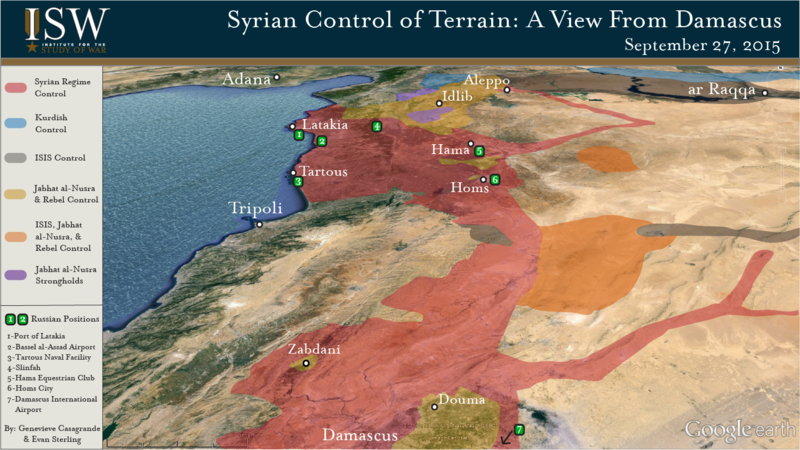 A number of these divergent pathways could generate negative effects that intensify the conflict, spread regional disorder, and threaten U.S. interests in Syria. The United States faces national security challenges in 2015 of a scope and scale that we have not encountered since the end of the Cold War. The Islamic State in Iraq and al-Sham (ISIS) has seized control of terrain in Iraq and Syria, declared itself a caliphate, and aims not only to reify that claim but also to provoke an apocalyptic war with the West. ISIS is challenging al-Qaeda, the terrorist organization from which it sprung, as the leader of the global jihadist movement. Russia, a nuclear power, is waging a crypto-war in Ukraine and is using its military capabilities to intimidate NATO. The United States and Iran have signed a nuclear deal that will relieve sanctions in ways that will likely increase Iran's malign behavior in the Middle East, which already includes the use of proxy military forces to undermine U.S. allies. China is laying claim to areas in the South China Sea and is using its increasing military might to enforce those claims. The threat to the United States in 2015 includes not only states and transnational organizations that have the intent and capability to harm America. The U.S. also faces a threat from the growing global disorder that its enemies and adversaries are exploiting. The Islamic State, for example, is pursuing a strategy that both breaks strong states and preys upon power vacuums in failed states. It has worked to provoke and expand a Sunni-Shia sectarian war since its origins as al-Qaeda in Iraq in 2004. That sectarian war is now engulfing the region and spreading around the world. Iran is helping to accelerate and expand sectarian war. The Iranians are supporting the Assad regime through a comprehensive strategy, including military resources such as trainers, advisors, and funding. That Alawite regime is deliberately starving its own people, dropping heinous barrel bombs on civilian targets, torturing family members of its opponents, and gassing its own people. These are war crimes committed primarily against Sunni. The perpetuation of the Assad regime is one of the major accelerants of the radicalization of Sunni as well as Shi'a populations, and without the Iranians, the regime would not have survived this long. Tehran has gone so far as to recruit its own people as “volunteers” to fight in Syria, and has mobilized Shi'a from as far away as Afghanistan to enter this sectarian battle. All of these developments have led to the growth of dangerous power vacuums. The world has witnessed the collapse of governments and states. Governments changed in Tunisia and Egypt during the Arab Spring. Libya, Yemen, Syria, and Iraq, all challenged by the Arab Spring, are failed or failing states. The Islamic State, therefore, has room to grow in the voids where government once was and Iran's counter-strategy is making the problem much worse. The Islamic State announced its intent to "remain and expand" in November 2014. The slogan, which appeared on the cover of its English language magazine, conveyed its strategic objectives: to remain in Iraq and Syria and to expand beyond their borders. My analysts at the Institute for the Study of War assess that ISIS is operating in three rings: an Interior ring, consisting of Iraq and Syria; a Near Abroad ring in lands that were parts of historical Caliphates; and a Far Abroad ring in Europe, the United States, Australia, and Asia. In the Near Abroad, ISIS has active governorates, or wilayats, in Egypt, Libya, Afghanistan and Pakistan, Yemen, the Caucasus, Algeria, and Nigeria. The analysts at the Institute for the Study of War have observed that ISIS has brought signature capabilities and campaigns from Iraq to Egypt, where it is now pursuing a campaign against Egyptian Security Forces in the Sinai modeled on the “Soldiers Harvest” campaign that eroded the Iraqi Security Forces’ capabilities and control in Mosul, Iraq in late 2013. That historical campaign’s signature weapon, the House-Borne IED (HBIED), destroyed the houses of Egyptian security forces in Sinai repeatedly this summer. The United States has seen the impact of the fall of Mosul, and it should be extremely concerned about a capable terrorist organization that is trying to thin security forces in internationally significant terrain, such as the Egypt-Israel border. The United States must therefore evaluate its efforts against ISIS in Iraq and Syria in this wider global context. President Obama, in September 2014, declared his intent to “degrade and ultimately destroy the terrorist group known as ISIL,” the government’s acronym for the Islamic State. The international coalition against ISIS speaks of its mission slightly more modestly, using the military doctrinal term defeat (meaning to break the enemy’s will or capability to fight) in lieu of destroy (meaning physically to render an enemy's combat capability ineffective until it is reconstituted). Defeating ISIS is a correct mission statement for the activities of the United States. It does not mean U.S. troops must be everywhere that ISIS is, or that military force is the only instrument that should be used. Rather, defeating ISIS requires using military force, diplomacy, and all the instruments of U.S. national power to break the organization’s capability to fight, since the will of an apocalyptic enemy is not likely to break. Some in policy circles might hope that ISIS could be contained in Iraq and Syria. 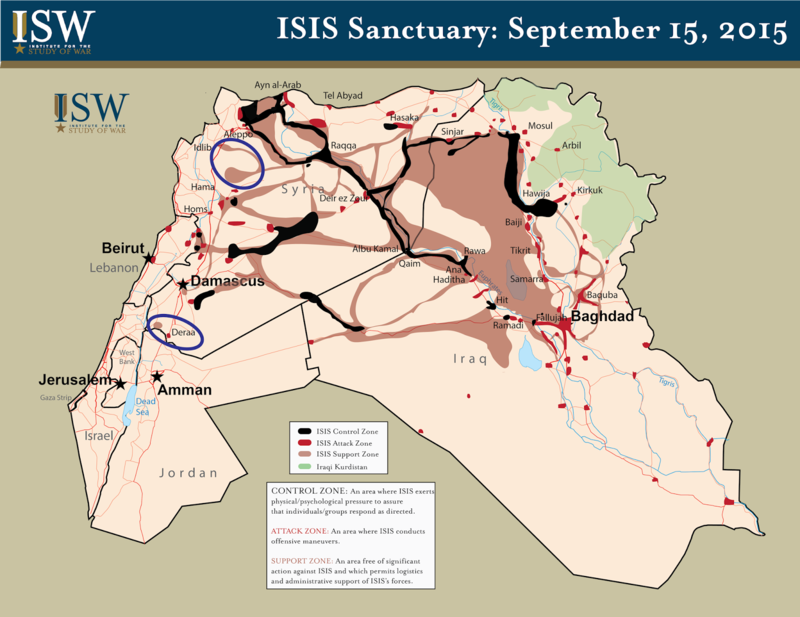 But unfortunately, ISIS has already spread beyond those areas, as I have noted. The opportunity for containing ISIS in Iraq and Syria has passed. The opportunity to defeat it in Iraq and Syria in ways that collapse its global reputation and capabilities is fleeting. The United States is not succeeding at defeating ISIS in Iraq and Syria. Make no mistake, the United States and the international coalition have been essential to limiting ISIS’s expansion and reversing some of its gains. Airstrikes in Iraq have been vital to helping ground forces retake terrain and degrade ISIS. The U.S. has helped the Iraqi Security Forces recover some territory that ISIS had seized, such as the very important gain in Tikrit. ISIS has gained new terrain in Ramadi, however, and still retains its safehaven in Mosul. This is not surprising. The U.S. has not provided support to the Iraqi Security Forces in ways sufficient to render them sufficiently effective against this enemy, such as close air support. Iranian proxies are different from the popular mobilization of Shi’a volunteers that have also taken the field. The popular mobilization has largely remained under the control of Iraq’s clergy and political parties. But the Iranian-backed groups have asserted their own command and control. They include Katai’b Hezbollah, which the United States designated as a terrorist organization, and Asai’b Ahl al-Haq, the Lebanese Hezbollah-trained militia responsible for kidnapping and killing five U.S. soldiers in Iraq in 2007, among many other American and Iraqi deaths it has caused. Since the fall of Ramadi, the Iranian-backed militias have deliberately chosen campaign objectives different from those designated by Iraq’s Prime Minister, Haider al-Abadi, in order to throw Abadi’s strategy off track and take control of the military situation. They are motivated by the determination they share with their Iranian masters to drive the U.S. out of Iraq once more and install pliable Iranian clients—a role in which these groups’ leaders fancy themselves—permanently in Baghdad. In recent weeks, they have threatened Iraqi officials in order to ensure that they do not advance the Prime Minister’s vital and popularly supported reforms. They or another Iranian-backed element have kidnapped Turkish workers in order to compel Turkey to change its policies in Syria. And they are increasing violence among Shi'a in vital cities such as Baghdad and Basra. The Iranian-backed militias are in a showdown with the Prime Minister, and the future of the government of Iraq and the unity of the country rely on the Prime Minister winning this very real contest for power. The U.S. is trying to counter ISIS as though it is the only enemy on the battlefield, when in fact it is but one of the terrible actors driving the global sectarian war. A strategy that tries to empower Iran and help Tehran expand its influence throughout the region will inevitably fail. It is actually making things worse. Exclusive focus on the Islamic State has also led the U.S. to ignore the growing threat of al-Qaeda’s affiliate in Syria, Jabhat al-Nusra. Jabhat al-Nusra poses a threat to the United States for several reasons. It is strong, growing, and effective, and it creates momentum for global al-Qaeda, which is still a real threat to the United States. It hosts the Khorosan Group, elements of al-Qaeda core that are plotting to attack the West. It recruits foreign fighters from a global network who will eventually bring the fight to their home countries. It also precludes many of the political and military solutions that the United States seeks. It violently eliminates moderate opposition from the battlefield; it was the organization that killed, kidnapped, and dispersed the group of roughly fifty U.S. vetted and trained rebels introduced this summer. It opposes political transition or working with the West. It is intertwined into courts, administration, and command structures in rebel-held Syria. Jabhat al-Nusra embeds itself in existing opposition civilian and military structures and gradually remakes them in al-Qaeda’s image. It is therefore stealthier, more intertwined with social and military groups, and harder to defeat than ISIS. Jabhat al-Nusra uses more patient means than ISIS to achieve its objectives, but those objectives are no less dangerous: namely an emirate for al-Qaeda in Syria that is a part of al-Qaeda’s global caliphate. The United States needs to recalibrate its policy to the security realities that we face. A strategy that tries to compartmentalize the ISIS threat from other drivers of regional and global instability will fail. represent those of the Institute for the Study of War. Satellite imagery provided by All Source Analysis confirms the recent arrival of Russian main battle tanks, armored personnel carriers, helicopters, and other military equipment at an airbase in Syria's coastal Latakia province, indicating that Russia has deployed troops inside Syria. Concurrent military exercises inside Russia with the stated mission of training for long-range deployments of airborne troops suggest that Russia may intend to deploy additional forces, possibly further inside Syria. 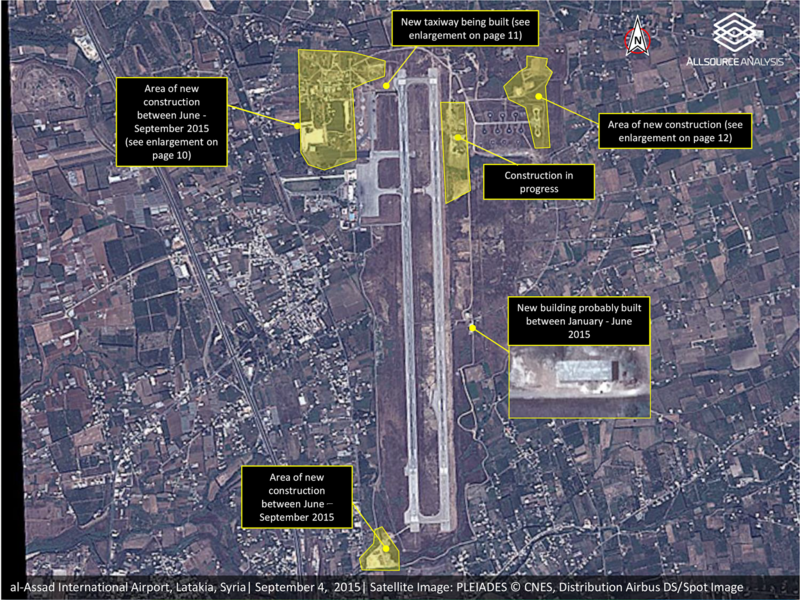 AllSourceAnalysis imagery of Taganrog Central airbase just east of the Ukrainian border from September 12 shows airborne troops rolling parachutes along a runway along with vehicles and tents more likely configured for sustained operations than for exercises or snap inspections. Russian President Vladimir Putin is seeking ways to support the Assad regime, to thwart a possible buffer zone established by the United States and Turkey, and to embarrass the United States by positioning Russia as the leader of a new international anti-ISIS coalition. Russian mobilization may protect the Assad regime from rapid collapse, but it may also cause greater radicalization among the Syrian opposition. 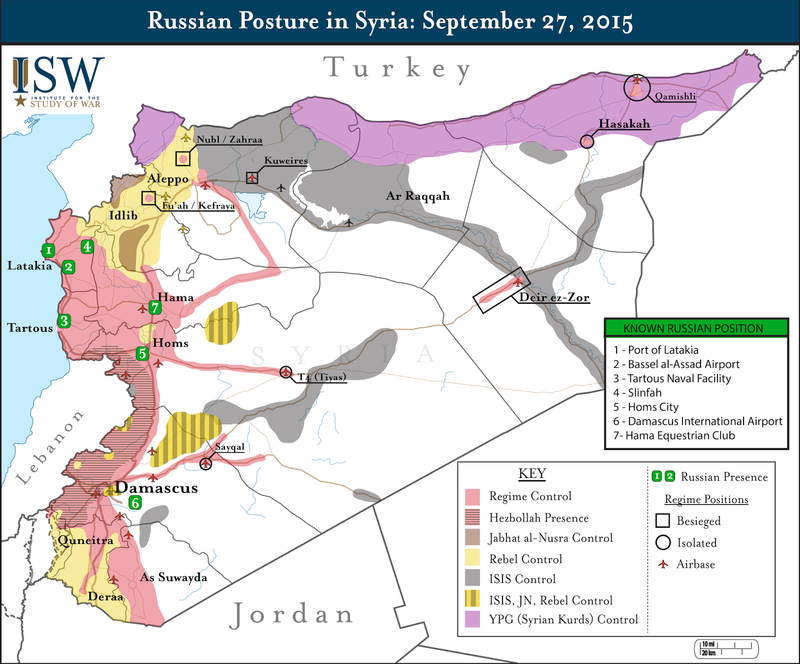 The Russian deployment to Syria is game-changing. It will alter the nature of international negotiations, compromise and weaken the cohesion and efforts of the U.S.-led anti-ISIS coalition, strengthen the Assad regime, and initiate direct Russo-Iranian military operations (suggesting the creation of a de facto Russo-Iranian military coalition, at least in Syria) for the first time. The U.S. and its partners must fundamentally reassess their approach to the Syrian conflict in light of this critical inflection. 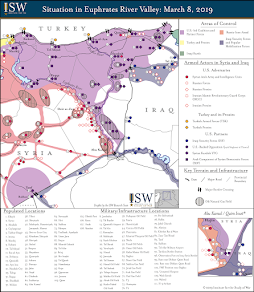 Key Takeaway: ISW’s updated ISIS sanctuary map includes a new attack zone in Deraa, southwestern Syria and an expanded sanctuary zone in Idlib, northwestern Syria. ISIS claimed an attack against the Syrian al-Qaeda affiliate Jabhat al-Nusra (JN) in Deraa on August 18, and also may be responsible for an ongoing assassination campaign against JN in Idlib. ISIS likely intends to target JN and Syrian opposition’s governance structures in preparation for future offensives in western Syria. ISIS’s increased attacks against JN also reflect an expansion of the rivalry between ISIS and JN for leadership of the global jihadist movement. Since ISW last published a Control of Terrain in Syria map in June, the Islamic State of Iraq and al-Sham (ISIS) seized the town of Qaryatayn in the Eastern Qalamoun region on August 5 following a brief offensive. The key crossroads town provides ISIS with opportunities to conduct further advances in the direction of Damascus, Homs City, or the strategic T4 (Tiyas) Airbase. ISIS fighters also conducted several attacks against Hezbollah positions along the Lebanese border southwest of Qusayr in Homs Province, highlighting the presence of active ISIS forces in the region. Meanwhile, Jabhat al-Nusra (JN), Ahrar al-Sham, and other rebel factions participating in the Jaysh al-Fatah Operations Room advanced into the al-Ghab Plain in northwestern Hama Province, directly threatening the coastal regime heartland in Latakia Province. JN and other rebel forces also seized the besieged Abu Dhuhur Military Airbase in eastern Idlib Province, leaving the two pro-regime towns of Fu’ah and Kefraya northeast of Idlib City as the only remaining regime presence in the province. ISW has modified its Control of Terrain in Syria map to order to highlight the terrain which is assessed to be under the predominant control of Lebanese Hezbollah rather than the Syrian regime. Hezbollah seized the town of Qusayr southwest of Homs City in an offensive over April to June 2013 which marked its first overt intervention into the Syrian Civil War. Hezbollah later played a key role in a major operation which cleared rebel forces from Yabroud and other towns along the M5 Highway between Damascus and Homs. Hezbollah launched a new offensive in May 2015 to eliminate the remaining rebel presence in the Qalamoun Mountains along the border with Lebanon, including the besieged rebel-held town of Zabadani northwest of Damascus. The addition of a new zone of control to the map thus reflects the dominance of Hezbollah along the Syrian-Lebanese border. 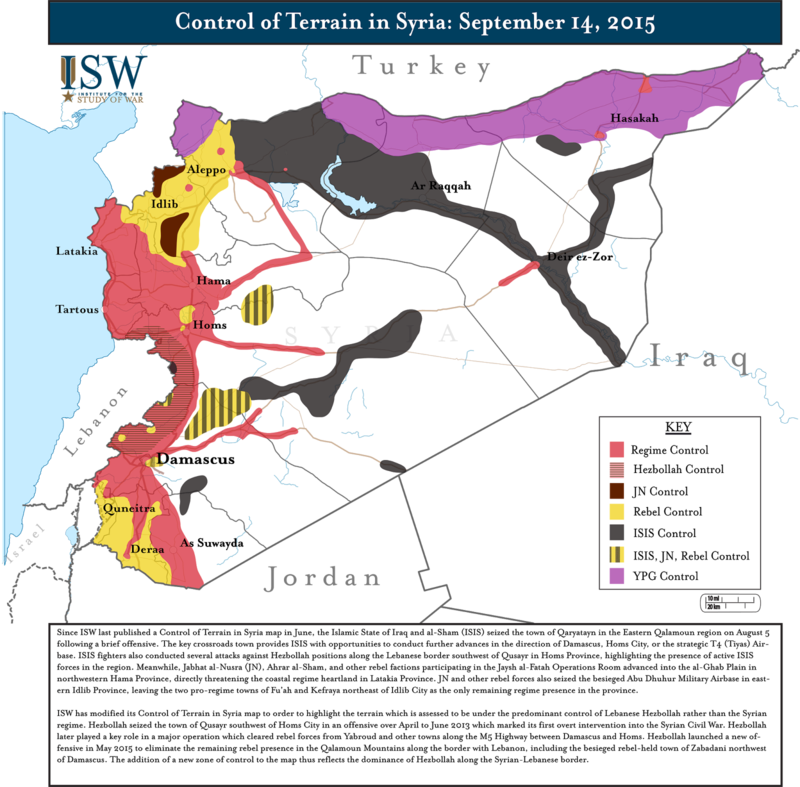 This map represents the military situation at the Syrian-Turkish border as of Sept. 11, 2015. Particular attention is paid to border crossings, many of which are now closed or highly restricted and under the control of a variety of groups including the Syrian regime, ISIS, Kurds, the Al-Qaeda affiliate Jabhat al-Nusra, and Syrian rebels. Key Take-away: An Iranian-backed Iraqi Shi’a militia kidnapped 18 Turkish workers in Baghdad and subsequently demanded concessions from Turkey related to its policies in Syria and Lebanon. Turkey has recently concluded an agreement with the United States to support the anti-ISIS coalition particularly in Syria, where Turkey has also increased its support to opposition groups fighting the Iranian-backed Assad regime. This kidnapping by Iranian-backed militias in Iraq is a new escalation in the regional sectarian and geopolitical war between Iran and the Sunni states in the Middle East. 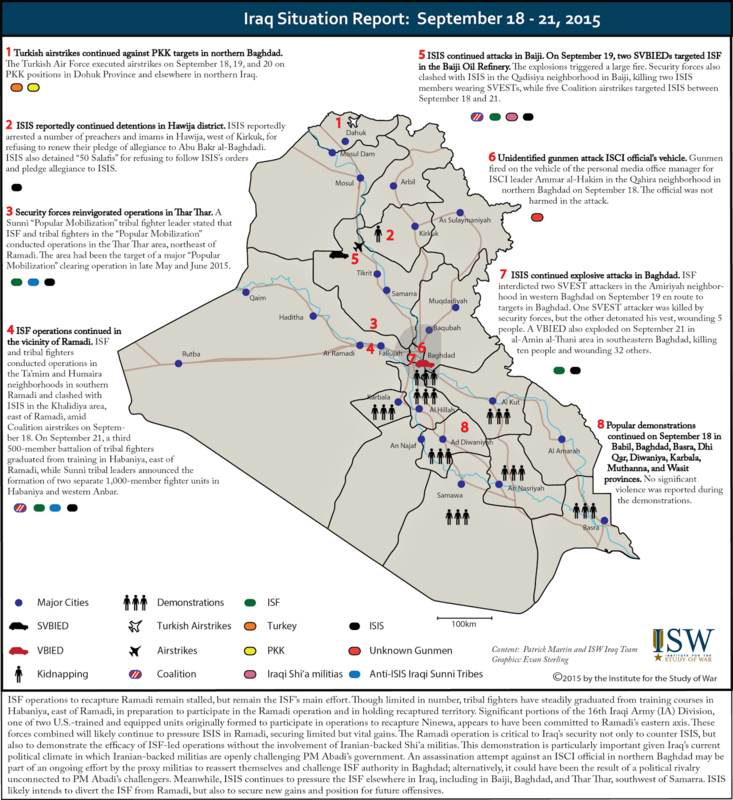 Iraqi Shi’a militias likely will increase regionally focused action to support Iranian foreign policy, particularly as the Iraqi government deals with significant political and military challenges that limit its ability to respond. Unidentified gunmen kidnapped 18 Turkish workers from a construction site near Sadr City in eastern Baghdad on September 2. No group immediately claimed responsibility, but the demographics and history of the area implicated Iraqi Shi’a militias. The event’s occurrence in Iraq’s capital prompted the Iraqi government and security forces to act. A force from the Iraqi Security Forces’ (ISF) Baghdad Operations Command (BOC) attempted to rescue the hostages on September 3 from a location on Palestine Street near the kidnapping site. The BOC subsequently clashed with gunmen from the prominent Iranian-backed Iraqi Shi’a militia, Kata’ib Hezbollah, (KH) an Iranian-backed group designated as a terrorist group by the U.S. Treasury Department that enjoys significant freedom of movement in Baghdad. One ISF member died in the clashes, and three others were injured. Yet the Iraqi government ceased public discussion of the incident, suggesting that it wanted to avoid conflict with Iranian proxy groups, despite the blows such a move would deal to the government’s authority. 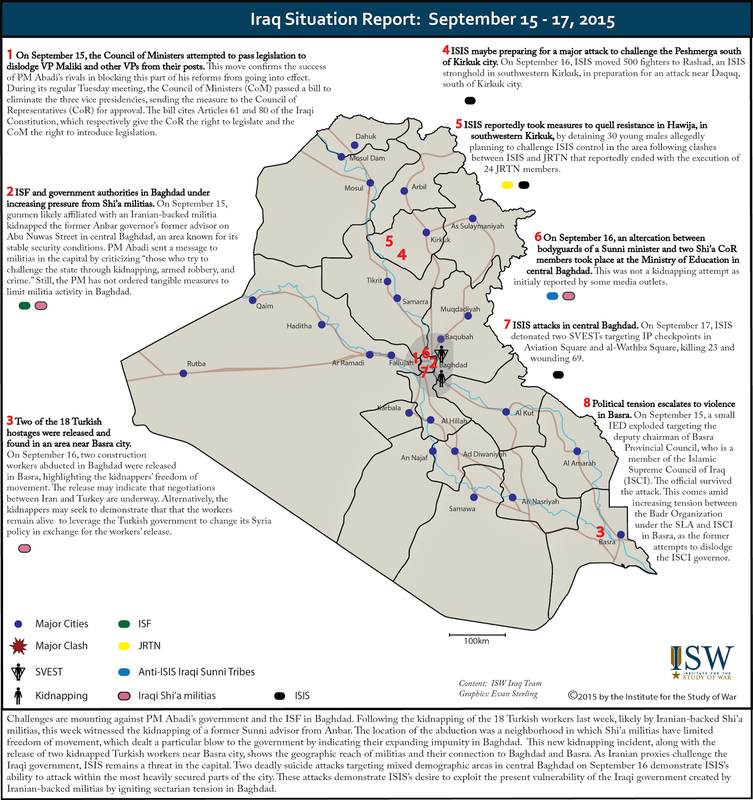 The Iraqi government currently is facing challenges related to ISIS, internal power struggles, a major budget deficit, and an emerging security vacuum in the vital southern province of Basra. Government actions against proxy groups could generate uncontrolled violence in Baghdad under these conditions. Therefore, Iraqi Prime Minister Haider al-Abadi chose to refrain from action against KH, despite his likely desire to target the groups. The kidnapping was clearly the work of an Iranian-backed Shi’a militia. An unidentified group released a 3-minute video on YouTube on September 11, showing five masked gunmen signs reading “Death Squads” and “Labayk Ya Hussein.” The latter slogan is used by Shi’a Muslims and likely meant to show a Shi’a identity for the group. The kidnapping also took place in an area of Baghdad where it is unlikely that independent smaller groups would have freedom of movement to conduct such an attack without the involvement of Iranian proxy groups. Moreover, the gunmen in the video displays 18 Turkish-speaking individuals confirmed to be the Turkish hostages kidnapped on September 2, recorded with Arabic subtitles that depict the motives of the kidnappers. The Arabic translations of their remarks call for the Turkish government to abide by the “demands” of their kidnappers. The translation also criticizes Turkish President Recep Tayyip Erdogan’s “aggressive behavior in the region.” The slogans of “Death squads” and “Labayk Ya Hussein” along with the messages regarding Turkey’s regional behavior indicate that the kidnappers are members of Iranian-backed Shi’a militias in Iraq. 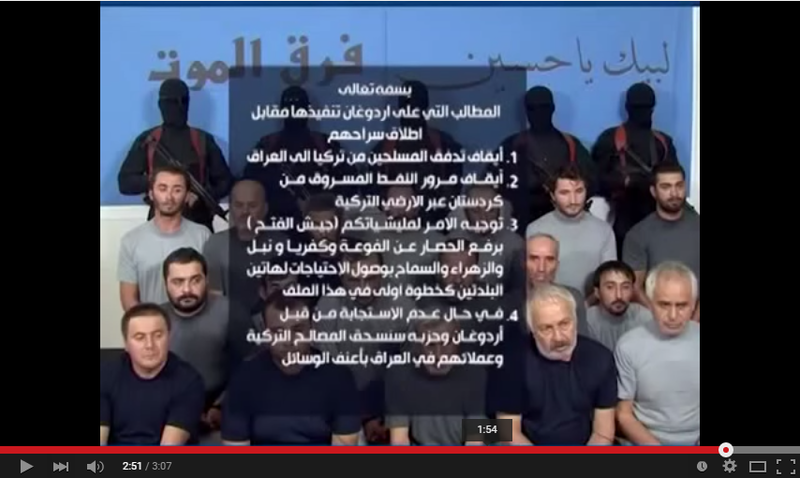 Above: Screenshot of the video showing gunmen, the Turkish hostages, and the list of the demands. - Cease support of Jaysh al-Fatah, a Syrian rebel coalition led by Syrian al-Qaeda affiliate Jabhat al-Nusra. - Lift Jaysh al-Fatah’s siege of specific majority Shi’a regime-held enclaves in Syria, namely al-Fuaa, Kafariya, Nubul, and al-Zahra, that are defended in part by Lebanese Hezbollah in northern Syria. The demand follows two failed ceasefire agreements between pro-Syrian regime fighters and opposition fighters, mediated by Iran and Turkey. Jaysh al-Fatah laid siege to these areas in order to demand that Lebanese Hezbollah, which is besieging the Sunni town of Zabadani, release civilian and opposition fighters there. The kidnapping represented more than a backlash by Shia militias against PM Abadi for his reforms curbing the militias’ power. The Iranian proxies were motivated by a desire to further Iran’s regional agenda in response to Turkey’s increased commitment in Syria. The overt and violent support for Iran’s regional agenda by Iraq’s Shi’a militias is a step-change. These cross-theater demands demonstrate that Iranian-backed militias in Iraq will act on Iran’s behalf in the regional sectarian and geopolitical war between Iran and the Sunni states of the Middle East. This escalation will likely contribute to more destabilization and violence in Iraq, Syria, Lebanon, and Yemen. Locally in Iraq, this incident shows how Iran gains from nurturing and maintaining proxy groups to execute its regional agenda. Iran will therefore continue to act against measures by PM Abadi to execute a reform agenda that weakens the proxies by dislodging their ally, former PM Nouri al-Maliki, from his post as a VP and bringing militias under state control. Iranian proxies in Iraq recently obstructed the passing of the National Guard Law at the Council of Representatives, (CoR) a draft law that has the potential to bring these groups under state control. Iran and its proxies remain capable of creating conditions that can undermine the very partners that the U.S. supports to combat ISIS, particularly the Iraqi government and the ISF. The office of Grand Ayatollah Ali al-Sistani, Iraq’s leading Shi’a cleric, demanded the release of the Turkish hostages on September 12 and criticized the kidnapping for the damage it has on the authority of the state and the Iraqi government. The Iranian-backed Iraqi Shi’a militias, unlike most Shi’a in Iraq, do not follow Sistani, but rather, Iran’s Supreme Leader. Accordingly, this incident is likely to generate more intra-Shi’a friction and polarization within Iraq. The leader of the Sadrist Trend, Moqtada al-Sadr, also criticized the kidnappers on September 12 and their representation of Shi’a Islam. Sadr called for the government to take action to release the hostages and expressed “our” readiness to support, referring to the Sadrist Trend. Sadr alluded to the involvement of the proxies by reiterating his warning about the "brazen militias," a term he uses to describe these groups. In addition, Sadr called for "boycotting them" and distancing them from the Popular Mobilization. The Peace Brigades, the armed wing of the Sadrist Trend previously known as Jaysh al-Mahdi, also operates in areas near the kidnapping site and other Shi’a neighborhoods in Baghdad. His group is currently competing with the proxies and previously clashed with AAH in Baghdad, although previous clashes had been contained by the leaders of the groups. It is therefore important to watch if increased tension between the proxies and Sadr generates Shi’a group infighting in the capital. The threat to U.S. interests emanating from the Middle East is not constrained to ISIS. Conflict among regional powers such as Iran and Turkey can undermine U.S. efforts and interests in the region. It is critical to watch for the response of the Iraqi government as internal and external pressure mounts, particularly if the government decides to take decisive military actions against the militias in Baghdad to preserve its image and state authority. The U.S. must also watch for additional coercive behavior by Iranian-backed groups as they act aggressively to preserve the Assad regime under pressure.